An interesting piece of near confirmation has just surfaced from WSJ pertaining the upcoming iPhone launch. It would appear that the speculation regarding a gold, or champagne color configuration of the next-gen Apple smartphone was on point, and the iPhone 5S will indeed arrive in three different shades as opposed to two. WSJ-owned AllThingsD cites "sources in position to know" with its report, and considering that the tech publication has an almost flawless record when it comes to these kinds of leaks, it would seem all-but certain that the gold iPhone is nigh. Furthermore, WSJ has also jumped into the scene citing its sources that the Cupertino company will indeed ship two different models of the iPhone this September. The blogosphere has been abuzz with reports pointing to a gold iPhone 5S, and considering the mixed reaction to those mutterings, it will be interesting to gauge the general response when the device is unveiled for the very first time come September. 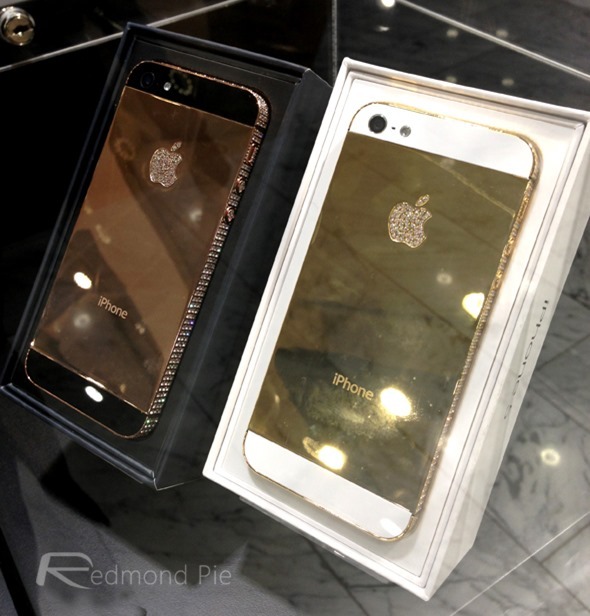 The face of the gold iPhone will likely be white, with the back plate and edges laden in the champagne finish. So if you can imagine the current White & Silver iPhone 5 replacing its silver elements with gold, that’s the kind of look you’re going to be left with for the iPhone 5S. In a separate report, WSJ also confirms that both the iPhone 5S and iPhone 5C will begin shipping in September. The report asserts that Apple has asked supplier Hon Hai, better known to us as Foxconn, "to begin shipping a new high-end and low-end iPhone in early September.” Although it has long since been presumed that the iPhone 5S and iPhone 5C were indeed being readied for imminent release, we can now dispel any lingering doubts and instead look ahead to that September 10th unveiling. We’ve also been hearing that the iPhone 5S may offer up to 128GB of storage in unconfirmed reports, and since the largest iPad 4 offers just as much on-board space, we’re tentatively inclined to believe these rumors also. We’ll keep you posted on what remains an unfolding story, so stay tuned!